If you’re tired of your fireplace and want a few ideas to jazz up your rooms, then you’ve come to the right place. Here, we’ve collected modern and sleek fireplace insert ideas that can brighten up any room in your home and bring a flash of style to any interior décor. 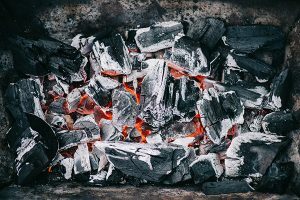 A fireplace insert acts much like a wood stove, using the masonry structure of a real fireplace by inserting a metal firebox, normally surrounded by some sort of steel or metal encasement. When they first made their debut on the market, fireplace inserts were thought to be unsafe, quickly tarnishing their name due to poor installation. In the early days, fireplace inserts weren’t always connected to the fireplace chimney. Manufacturers then started installing, along with the insert, a short stainless steel liner inside the chimney of the original fireplace, otherwise known as a direct connect. However, there wasn’t much of a direct connection to the base of the fireplace chimney, and inserts were not that easy to light, too smoky, and ineffective cost-wise when installing this way. 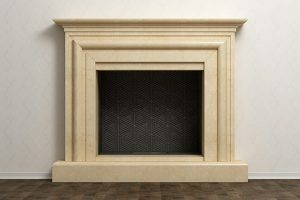 Fireplace inserts today are higher quality and more efficiently installed, and clearly, manufacturers have learned their lessons in fireplace and fire safety in the past years. Nowadays, fireplace inserts can easily heat up an entire room because of the outer shell of the insert working to release the heat from within to the interior of the home, instead of through the chimney. 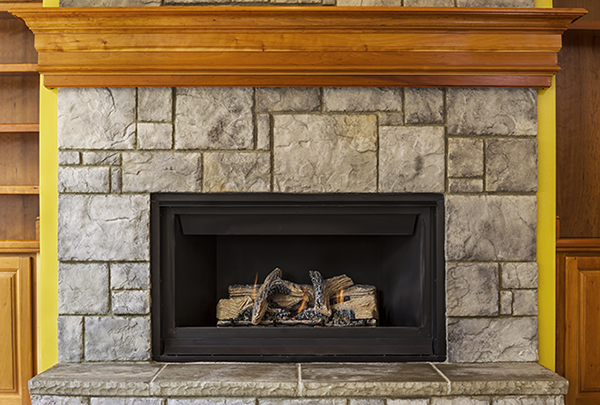 What could be more modern than a fireplace insert with clean, metal framing? Imagine your living space with a comfortable shag rug and masculine furniture, the focus brought to center on a silver-framed, metallic fireplace. The metal frame can go with any color scheme, giving your room an organized focal point. Nothing beats this metal fireplace insert that ties the theme of classic modern meets modernity. Have you ever thought about an elongated fireplace insert? These inserts are extended lengthwise, putting an ordinary fireplace insert to shame. The sheer length of these inserts can give any room the feeling of luxury like a modern five-star hotel, a high-end bar, or a restaurant hotspot. Now, you can have this feeling inside your home. Hang your equally massive TV above one of these inserts and this room will be the place to be on cold winter nights. There are no rules when decorating the surround of your fireplace insert. Cobblestone serves as a functional and traditional design. Cobblestone surrounds can bring a nice balance from relatively modern furniture and contemporary interior design by bringing the themes together with its traditional, classic look. For a turn of the century style, try a fireplace insert that gives off contemporary flames. Unlike its counterpart, the traditional fireplace, with flames that are unpredictable and hurried, a fireplace insert with contemporary flames allows for a consistent look with steady crackling with near-LED perfection. This style of flame is eye-catching and unforgettable and beats out a wood-burning fireplace because it requires no work to keep it going. Cement is the trendy new look of this year. A more industrial vibe for your home can make it feel lofty and on point. Exposed beams, brick walls, and a little bit of cement material thrown into the mix can lift your interior decorating style into this century. 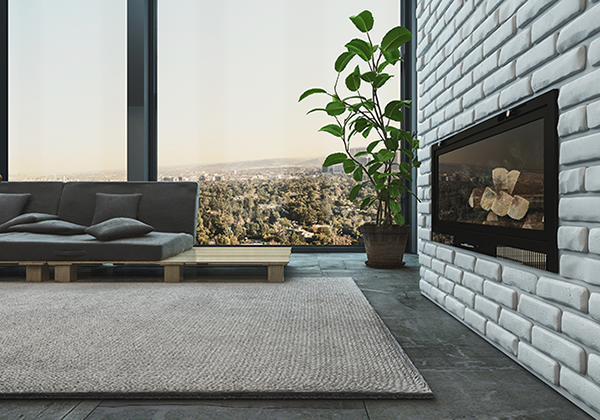 A fireplace insert with a cement surround is an excellent contrast of coolness and warmth, giving the illusion of a warehouse look but the warmth of a comfortable hangout room. A fireplace insert beneath the television is a modern approach to interior decorating. Because TVs have become the sole purpose of many of our rooms these days, a fireplace beneath it not only makes sense, but by doing so, you can actually enjoy the fire while you watch your favorite shows. If you are one of those rare people and tend to not gather around the television at night, there’s the option of hanging your favorite piece of art directly above the fireplace instead. If you have some empty space with a wall you aren’t sure what to do with, consider transforming this area with a corner fireplace insert. These inserts have a glass encasing that wraps around the corner for a modern look. You can top it off by keeping it simplified, because these days, less is more. The modern trend is minimalist, which echoes the decorating style enjoyed by Scandinavian countries. The corner fireplace insert is perfect for this minimalist, no-fuss design. Are you lucky enough to have a freestanding pillar or wall in your living space? 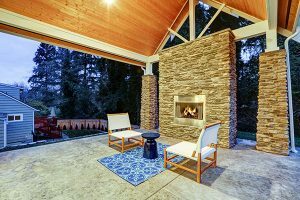 Uniquely designed houses with a modern flare favor pillars with a fireplace that can be enjoyed from either side. Consider a clear, transparent fireplace insert that connects the rooms that encircle it. Not only will you make the house flow smoother with this see-through insert, but you will also impress any house guests that pop over to your home during colder months. A fire in a box can’t be beaten when you’re talking about a modern look. Much like its cousin, the see-through or two-sided fireplace, the glass box fireplace insert doesn’t need to be limited to a wall space. The fire in a glass box is much like an aquarium, only much more elegant and requires far less cleaning. There’s extra long and extra tall, and both are unique and eye-catching. A taller fireplace insert is as fun to look at, as it is fun to have in your living space. Use your chimney to further elongate your tall fireplace by adding geometric tile patterns from floor to ceiling. Not only will an extra tall fireplace insert drastically improve the look and feel of your room, but the room will be transformed, seemingly taller and larger than it was before. Although it’s technically not an insert, this style of fireplace is too irresistible to not include on the list. You can find this type of electric fireplace with a quick web search and a whole bunch of satisfied reviews. The LED backlight brings another layer of luxury to the wall mounted flames, bringing to life a stylish bar room or futuristic living room, perfect for any modernly chic homeowner. Regardless of whether or not your fireplace is operational, you can easily use these fireplace insert ideas to compliment running themes in the many livable spaces of your home. But to have a fireplace insert, your fireplace must already have the masonry in place for one, which means it has a working chimney with proper venting. There are plenty of things you can do with a fireplace that doesn’t work any longer, by installing a fireplace insert, you can enjoy the warmth and functionality it provides. Inserts can be found in many different styles. 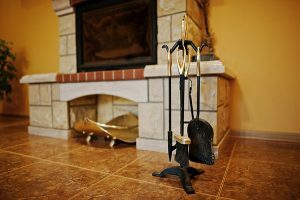 There are fireplace inserts that burn gas, wood, or pellets, and because of these many options, an insert can appeal to everyone. By filling out our form for a free quote online, you’ll be on your way to a new fireplace insert that you’ll surely love and enjoy.